Why not start your Monday off with a yummy muffin? Nora and I bought some peaches at the farmers market last week. We ate a few and thought we should use a few for baking too. 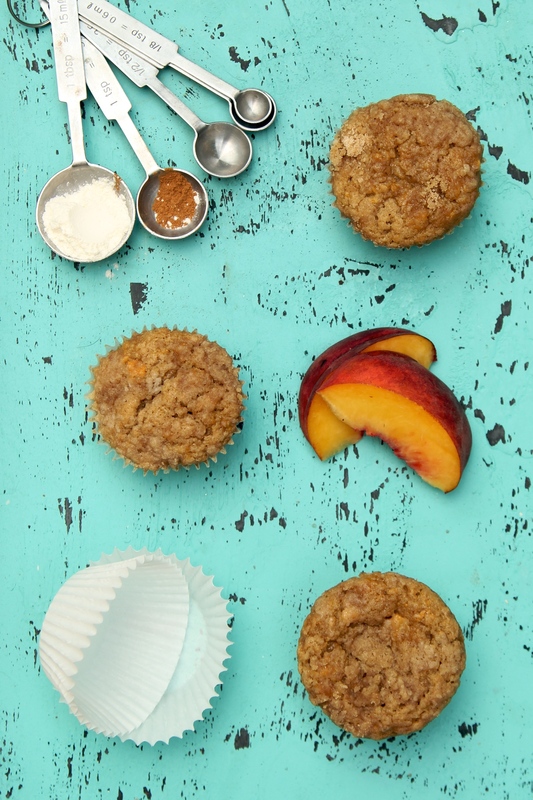 These muffins are pretty sweet so they worked really well for a Sunday brunch we were making them for. Preheat oven to 375 degrees F. Lightly grease 24 muffin cups. In a small bowl cut in butter, flour and brown sugar for crumb topping. Sprinkle on top of muffins. Bake 20 minutes in the preheated oven, until a toothpick inserted in the center of a muffin comes out clean. Cool 10 minutes before turning out onto wire racks to cool completely. 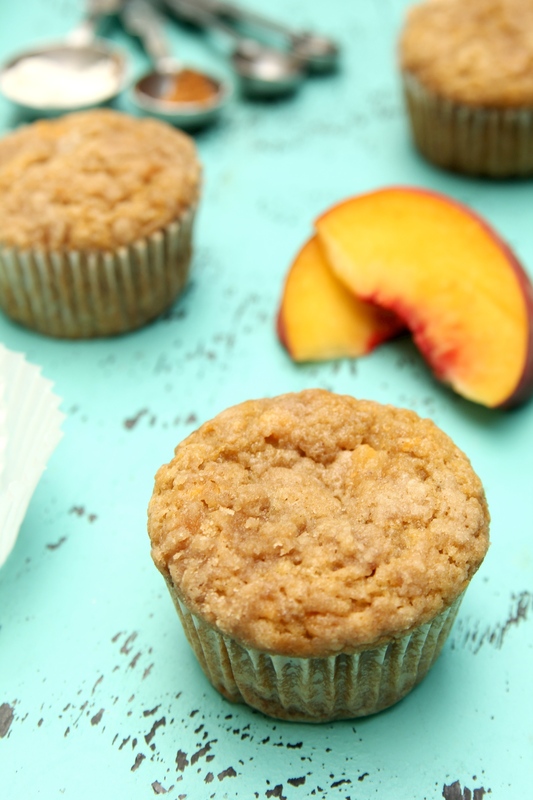 This entry was posted in Muffins and tagged muffins, Peach. Bookmark the permalink.